Window - Enveloppe Concept Inc. 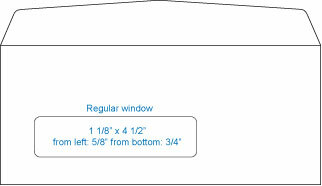 Various window styles and formats that we produce are provided below. The illustrations show only a small fraction of the various possibilities.